The perfect pairing for coffees and chocolates, the nutty taste of caramelized hazelnut is a culinary mainstay. 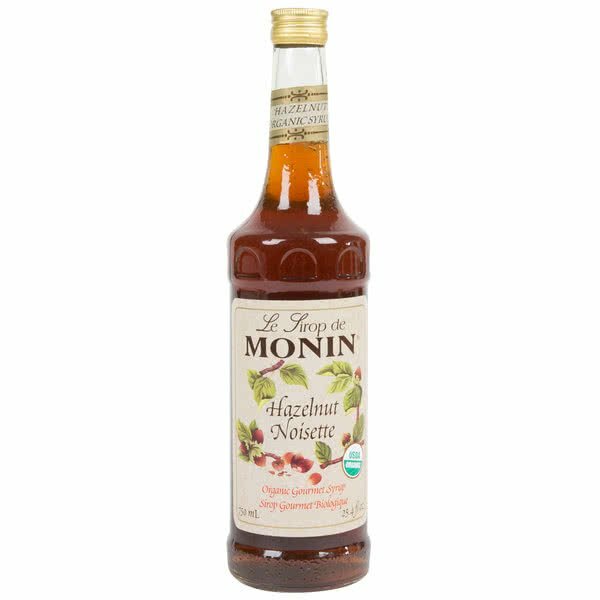 Our Organic Hazelnut Syrup, made with organically grown pure cane sugar and the finest natural/organic flavors with no additives or preservatives, perfects a wide range of beverages, from mochas and lattes to smoothies, shakes and cocktails. Monin Organic Hazelnut Syrup adds rich, nutty goodness to lattes, mochas, smoothies, shakes and cocktails.